What Kind of Foundation Does Your Mattress Need? There are some people who disregard the importance of a bed foundation. A mattress without a foundation is like a home without a foundation. You really can’t have one without the other. You can’t put mattress directly on the ground, because this will decrease its useful life, and it will fail to provide the support it would otherwise provide. Therefore, a bed foundation is necessary. It will not only prolong the life of your mattress, but it will also allow it to provide you with better support. There are various types of foundations available on the market these days and choosing the best one can be a real challenge. Purchasing the wrong one can cause discomfort and decrease the stability of your mattress, so you should know what kind of foundation your mattress really need. In this guide, we will outline the best foundations that could go well with your mattress depending on its type and we will discuss various types of foundations that can be found on the market today. An innerspring mattress utilizes a steel coil support system and different kinds of these mattresses are available on the market today. Some of these have springs that are connected into a single unit, while other mattresses are comprised of hundreds, sometimes even thousands of individually pocketed coils. Each mattress differs in the number of coils, coil gauge, design, and shape. Their coil system is usually covered with a layer of fibers, foam or yet with another layer of smaller smaller steel springs all wrapped in the quality cover. A box spring is made of a wooden frame combined with wire coils that work together to support the mattress and absorb weight. Some models use steel instead of wood to increase the strength and durability of the box spring. Box springs are usually wrapped in a skid-resistant fabric. It serves as a nice cover for the box spring construction and prevents the dust from getting inside and reaching the mattress. Box springs elevate the mattress and keep you away from the dust and cold coming from the floor. There are few choices when it comes to box springs. 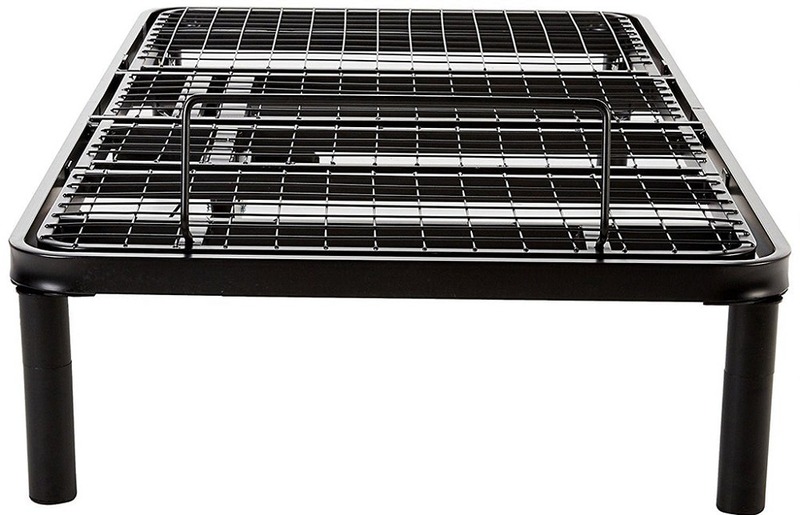 These include high-quality modular grids with square coils for better durability and coil spring beds with cone-shaped wire coils for support and flexibility. Semi-flex box springs are made of a wooden frame with a sturdy metal grid above slats which provide support and minimal flexing. Coil spring and modular grid box springs work best with double-sided innerspring mattresses. The coils of the box spring work together with the coils from the mattress to provide the sleeper with greater comfort. The mattress will usually feel a bit softer with the box spring beneath because both coil systems move and flex and absorb the body weight of the sleeper. However, it is not recommended to use box springs with one sided coil mattresses as this can shorten their lifespan. You should avoid using box springs with latex mattresses as well because latex mattresses are too heavy and will eventually bend the springs and and sag in those places where the springs are bent. Memory foam models are made of multiple layers of high-density polyurethane foam. This type of foam reacts to your body heat and conforms to the shape of your body and to your unique curves. Slatted foundations are made of wooden or metal slats that are placed close together so that they could provide the necessary support. These foundations also create an illusion by making a small bedroom seem much larger and most models have built-in storage spaces. Slated foundations, besides excellent support offer great airflow and allow the mattress to breathe easier and aid in cooling too. This also prevents the appearance of mildew and mold. The best slated foundations are those with slats that are not more than 3 inches apart. Such foundations offer the best support and are less likely to cause sagging of your mattress in places. There are two kinds of platform foundations: curved European flexible slatted foundations and the solid wood slats. These two differ in that the first offers support for each sleeper individually because the slats are flexible and adjust to the each sleeper’s size and weight. The latter, on the other hand, gives the sleeper a more solid feel and helps decrease bounce and motion transfer. Check out our adjustable base reviews and find out which adjustable base would go well with your memory foam mattress. Memory foam mattresses perform best on flat and sturdy surfaces which ensure even support and prevent sagging. However, sometimes you can also use box springs with memory foam mattresses. If you decide to use a box spring with your memory foam mattress, pay attention whether the box spring frame has a middle support bar. This bars offers central support and greater stability and prevents your mattress from sagging in the middle. Look for box springs that are specially designed for memory foam mattresses. Avoid using your new memory foam mattress with the old, traditional box springs. Traditional box springs are made of coiled springs designed to compress under pressure which is not suitable for memory foam mattresses. Look for newly designed wooden foundations. These foundations are made of wood or steel grids that allow equal distribution of weight and have very little give. This permits the mattress to provide the comfort and solid support to the sleeper and will not void the warranty. Material – The material of the foundation is crucial when it comes to choosing the good one. The best ones would be those made from wood because they have a longer lifespan. Size – It is significant to consider the size of the foundation. Your foundation should not be smaller or bigger than your mattress because this can affect its stability and the comfort it provides. Stability – The foundation must be able to withstand pressure and weight. Durability – Durability is also significant when choosing a foundation. Choose durable foundations made of solid and highest quality materials. Shape – Make sure that the shape of the foundation responds to the shape of your new mattress.is similar to the mattress. Breathability – Memory foam mattresses are prone to retaining heat due to its dense construction. Therefore, you should choose an open and breathable foundation that will prevent excessive retaining of heat. Natural latex is made from the sap of the rubber tree, Hevea brasiliensis. Another type of latex is chemically made from SBR (styrene butadiene). Latex mattresses are known for longevity (natural latex mattresses can last over 40 years), elasticity, and response. Latex is naturally anti-microbial, hypo-allergenic, and resistant to dust mites, so unless you’re allergic to natural latex, mattresses that are made of latex are the healthiest choice for you. Just like memory mattresses, latex models require a strong and solid base that will hold both the weight of the mattress and the people sleeping on it. Latex mattresses tend to be a lot heavier than most other types of mattresses, so the base has to be strong enough and the gaps should not be too big to make sure the mattress doesn’t sink through them. Slatted Wood Base – Ventilation is crucial when it comes to latex mattresses. It helps reduce the risk of moisture which can possibly lead to mold, mildew, and even dust mites. The slats need to be no more than 3 inches, preferably 2 inches apart from each other for better and more even support. Not flexible (or very little if it is). Narrow gaps between the grids. Comes with a strong fabric screwed on top of the grid system to ensure a flat surface for even support. Do you think your latex mattress could go well with some of the high quality adjustable bases? Click here and find out which one would be the best. Airbeds utilize adjustable air chambers as their support system. Residential air beds have air chambers that are covered by upholstery and padding materials. These materials include fiber and foams. As the firmness of airbeds can be adjusted this allows each side of the bed to be used separately to suit the individual needs of each sleeper. Airbeds have similar physical appearances as conventional beds. Plywood should be of the same dimensions as the mattress and the bed frame. The plywood must be 0.75 inches thick. A tarp or a non-penetrative sheet can be used to cover the plywood. This protects the mattress from splinters that can come from the plywood. If finished, the plywood can be put on the bed frame and the mattress directly on the plywood. A box spring can be an alternative to the plywood. A box spring can be placed on the bed frame. A tarp can be used to cover the box spring and protect your airbed from sharp springs. People who do not want to use DIY projects can opt for airbed frames, such as the Pragma platform. This platform allows the mattress to be placed safely on the frame. Moreover, it gives comfort to the sleeper. A waterbed utilizes water chambers as its support system. Soft-sided beds and hard-sided beds are two kinds of waterbeds. A hard-sided waterbed contains a water chamber that is placed inside a rectangular wood frame. A soft-sided waterbed contains a water chamber that is placed inside a rectangular frame that consists of a rigid foam that is enclosed with a fabric casing. Padding or upholstery materials cover the water chambers. These two kinds of waterbeds can be placed on top of a platform. Waterbeds are created to appear similar to conventional beds. The water chamber could either be “waveless” or “free flow.” It is waveless when the baffles or fiber controls the motion of water. It is free flow when there is no obstruction of the water flow. There are various kinds of foundations for waterbeds. Foundations for Hardside Waterbeds – Most buyers often confuse the foundations for hardside waterbeds. Their appearances are strange and often misleading as they do not look like a box spring or a foundation. The technical term for this is a Pedestal or a Riser. These are made of any material that includes painted particle board that can be made from either pine or oak. Foundations for Softside Waterbeds – Softside waterbeds are modern waterbeds. The really look like regular mattresses which is why most people don’t know if they are waterbeds until they lay down on them. The supporting bases for them are similar to box springs. Their advantage when compared to regular foundations is that they can hold more weight. Adjustable beds are becoming increasingly popular among people of all ages as they can easily be used with various types of mattresses and come with numerous benefits. Namely, they allow you to adjust the position of your mattress simply by pressing the buttons on a remote control. 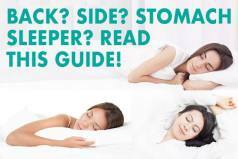 This can help you deal with various health issues and make your nights more comfortable. They also come with a number of other features all aimed at increasing the overall comfort. 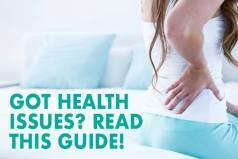 When searching for the best adjustable base, there are some criteria to look for that will help you find the right adjustable bed that will provide you with the right balance of comfort and support, quality, and longevity. 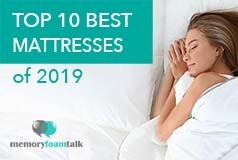 Read our Adjustable Beds guide and take a look at a list of adjustable beds we have reviewed and at various factors that may make one adjustable base better or worse for different types of mattresses and different sleepers. In our reviews we took into consideration the construction and design of each adjustable bed, their comfort and special features, our experience sleeping on them, and what type of sleepers they may be best for. Thank you for the information concerning the use of foundations for a softside waterbed. I want to be sure that I understand the information. I purchased a softside waterbed and it comes with everything but a foundation. Am I correctly understanding that a regular wood foundation can be utilized? Yes, you just need a good solid foundation to support the waterbed, and a wood foundation does a good job at supporting these type of beds. Thank you for such a quick response. I got old and hope I didn’t do anything stupid! Oops it might be too late. It came with a metal frame. I can lay the regulat box spring on the metal frame and then put the softside on top? Sorry for so many questions but I need help. That would be correct… assemble the metal frame, put your box spring on it, and definitely put the soft side on top 😉 . Otherwise it will be rather uncomfortable.. Glad we can help!